Accountants, CPAs, and small business owners have become more efficient, stable and technology savvy with the implementation of QuickBooks software for their daily day-to-day processes such as invoicing, billing and time tracking. The software can easily integrate with other applications and allows companies to manage their finances. However, when it comes to implementation, many financial professionals are confused about which one is better for their type of process: QuickBooks Online or QuickBooks Hosting? We would lay down some of the facts for you. Citing the huge dependency on cloud among businesses, Intuit developed a cloud-based version of QuickBooks, called QuickBooks Online. It is a cloud-based financial management software system which helps businesses manage their finances. QuickBooks Online is an ideal solution for service-based businesses that do not have complicated invoicing requirements or doesn’t need inventory tracking options. While QuickBooks has been around for years, it has recently achieved traction with numerous small business owners for its customization and feasible tools. Intuit has taken many steps to move their customers to QuickBooks Online. Although it is easy to use, it’s important to explore all the options to ensure that their decision is right for the company. QuickBooks hosting refers to the installation of QuickBooks desktop version on the network which is hosted by a third-party cloud provider over the internet to provide access to the data or files via a web browser from anywhere. In simple terms, all the information, data and files which are hosted on the cloud can be accessed by authenticated users from any location without the need to install it on a local machine. If you want the benefits of a traditional QuickBooks software in a more accessible and robust environment, hosted QuickBooks is the way to go. Cloud-hosted QuickBooks allows you to have access from a computer running Linux, Mac or Windows. QuickBooks desktop and QuickBooks Online are business accounting software which mainly differs in three areas: features, data accessibility, and pricing. Currently, QuickBooks desktop hosting has more features than QuickBooks Online. QuickBooks Online has grown to 2.2 million users and has recently made significant advancements and changes for its users. While QuickBooks Online offers many features, there are few drawbacks such as a semi-steep learning curve, navigational issues and long support waiting time. The prices of QuickBooks Online have also been increased – again – making it expensive for some businesses. While it is essential to recognize how hosting QuickBooks desktop on the cloud would mean that product will get efficient and faster, you still have to ask yourself if QuickBooks hosting is the right choice for your business. Lets’ check out the facts. What is the difference between them and where do they excel? We have done the research for you to settle this great debate. The comparison table below provides key differences between the two cloud accounting solutions. It is important to choose the right option to meet your client’s needs. If all of your clients were similar, you would have been served with a single option. However, that is usually not the case, as most accounting firms have clients of different sizes. This means that you will need a more versatile option. QuickBooks Desktop hosting gives you the option to choose among the various versions such as Pro, Premier, Accountant or Enterprise Solution that serves the need of different industries of every scale. On the other hand, while looking at your practice, you may realize that some of your clients don’t have many complexities and their requirements can be fulfilled by QuickBooks Online. Particularly, if you need remote access and have more than one user, QuickBooks Online can be a less expensive option. It is clear that QuickBooks hosting offers more apt solutions for small businesses, CPAs and accountants who are looking to work out the things faster and efficiently. Importance of cloud accounting solutions is constantly growing. While QuickBooks Online is improving, cloud-hosted QuickBooks seems to be an easier pick as it doesn’t need major changes in the existing desktop version and all the benefits of cloud are easily available. Eventually, the deciding factor between QuickBooks hosting and QuickBooks Online comes down to what your priorities and requirements are as a business owner and an entrepreneur. Check what is the best option for you and your client and help them navigate constantly changing technology trends. 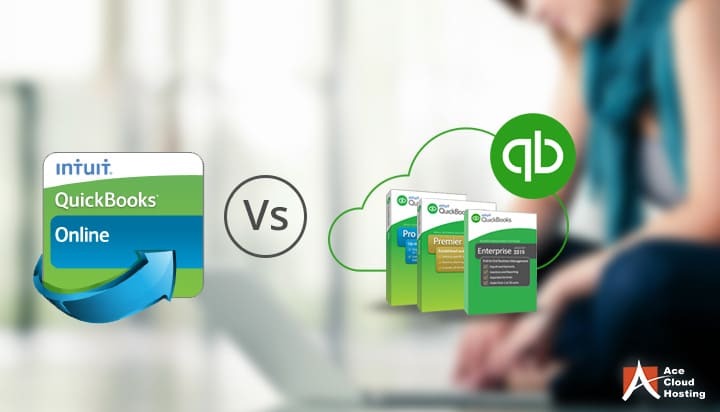 QBO vs QuickBooks Hosting: What’s the Right Choice for Your Business? 7 Reasons You Should Purchase QuickBooks Licenses from Ace Cloud Hosting Top 20 QuickBooks Hosting Questions and Answers Is QuickBooks Available on the Cloud? I have used both QuickBooks online and QuickBooks hosting and trust me QuickBooks hosting is just like QuickBooks desktop – with some advanced features of course. 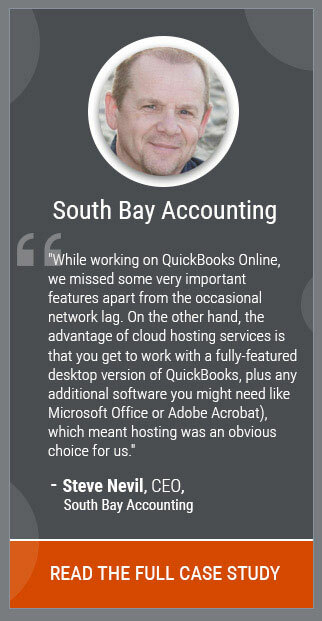 I would always choose QuickBooks hosting over QuickBooks online. Keep in mind that you have to select a trustworthy cloud provider to get the best services. I second that Smith! QuickBooks hosting has features like remote access which can easily outperform those of QuickBooks desktop and online. 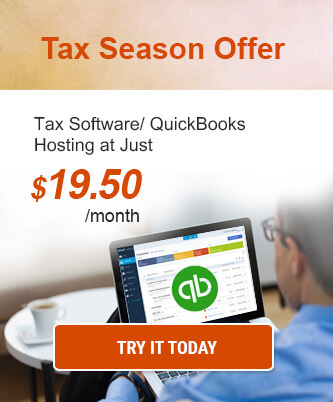 Also, the restrictions to use the QuickBooks hosting is very less as compared to those of QuickBooks Online. Having various versions for every kind of business need is one of the many reasons that QuickBooks hosting is the preferred choice of accounting professionals.